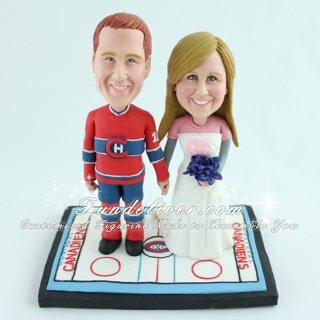 This is a completely customized NHL Montreal Canadiens Hockey theme wedding cake topper ordered by one of our customers. 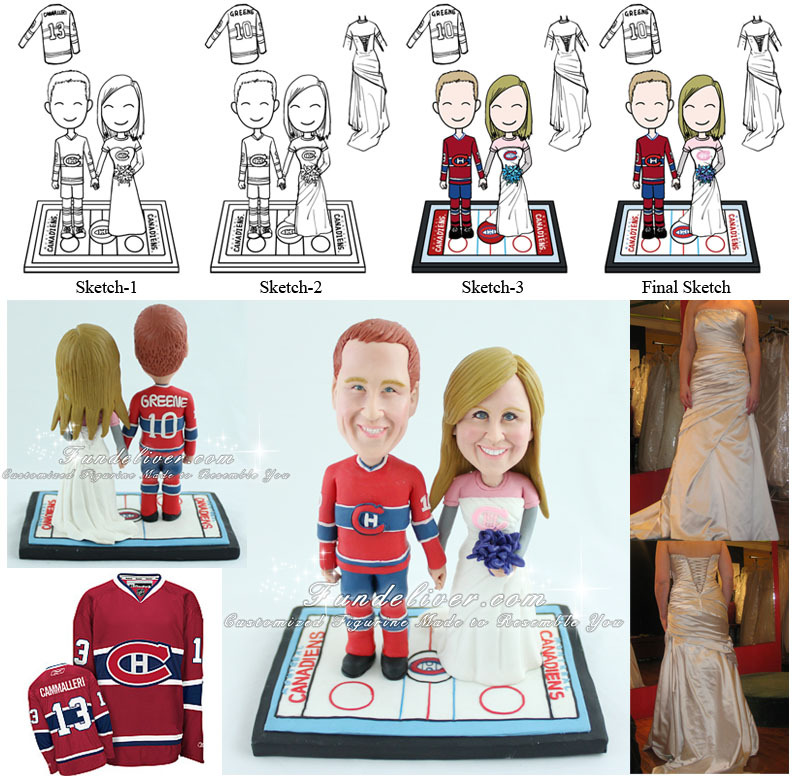 The bride and groom are huge Montreal Canadiens FANATIC, so they would like wedding cake to reflect that with this cool Montreal Canadiens topper. The groom is wearing the red Montreal Canadiens jersey, hockey socks and pants. And bride is holding a blue orchid bouquet, wearing her pink t-shirt with Canadiens team symbol over her wedding gown.